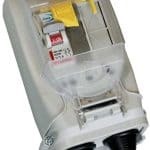 Lucy Trojan isolators are available in a range of options suitable for amenity and street lighting – the isolators feature double pole 32A switch disconnectors and BS88 fuses. 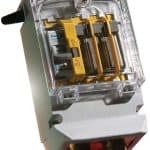 Used mainly by local authorities and contractors the Trojan isolators offer versatility and an abundance of practical features – presented in 2, 3 and 4 way modular format making it suitable for applications that require double pole isolation in a robust and compact housing. 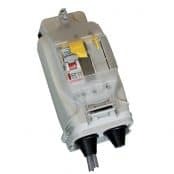 Trojan double pole cut outs are typically supplied with an isolator and fuse configurable to customer specification with DIN rail mounting modules. Lucy Trojan2 Midi Street Lighting Isolators provide a two-way modular street lighting isolator system incorporating a switch, fuse or MCB. Easy to install, the slimline Lucy Lighting Trojan mini double pole isolator is preferred by street lighting engineers throughout the UK. 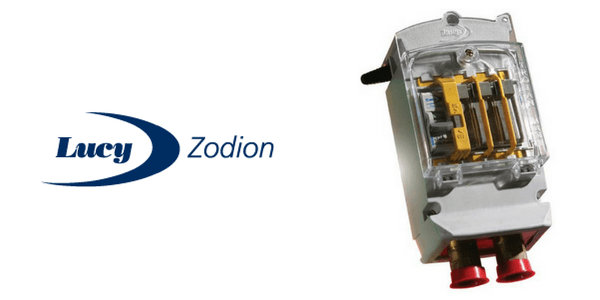 Lucy Trojan Mini Street Lighting Isolators provide a three-way modular street lighting isolator system incorporating a switch, fuse or MCB. The versatile Lucy Lighting Trojan isolator offers 3 modular variations, for example a two lantern supply or one lantern and a sign. 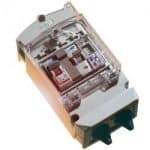 Lucy Trojan Maxi Street Lighting Isolators provide a four-way modular street lighting isolator system with total flexibility for up to 4 DIN modules and sophisticated control such as time clocks. Lucy Trojan Maxi Festive Unit Isolators provide a four-way festive lighting system.